Trevor and I had so much fun with Kidding Around! I'm so glad we did it together. 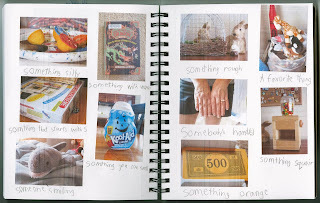 We each have a journal filled with a summer's worth of memories. What a fun photo scavenger hunt!! LOVING the photos!!! I am sad that "Kidding Around" is over! I have really enjoyed seeing your posts, Cindy! 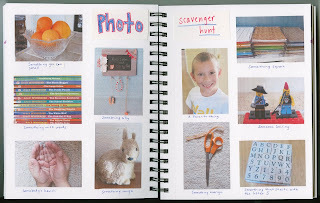 I love your photo scavenger hunt, and the journal pages you both created with them!!!!! What a fun way to end the summer of Kidding Around! It will be so fun for you guys to go back and look through this journal in the future. Wow! Over already?! Summer is still here, though! My kids are back in school already and that just blows me away! Anyway, great project! Love Scavenger Hunts! It's been fun watching you and Trevor create this book (and memories)! Very cool! Just found your blog a few days ago and I love it. 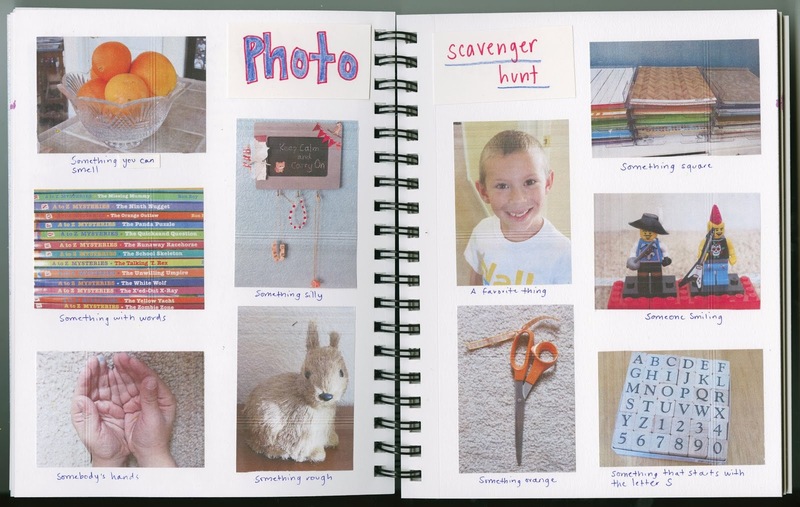 Love your fun kid crafts, your scrapbooking layouts are awesome and your kid is adorable to boot! I'll be back often! I absolutely love this prompt. The photos are a ton of fun. Your books are going to be real treasures in the years to come. Fabulous Cindy! I love this idea. I really need to play this with Cory. He would dig it for sure. Love your documentation too.